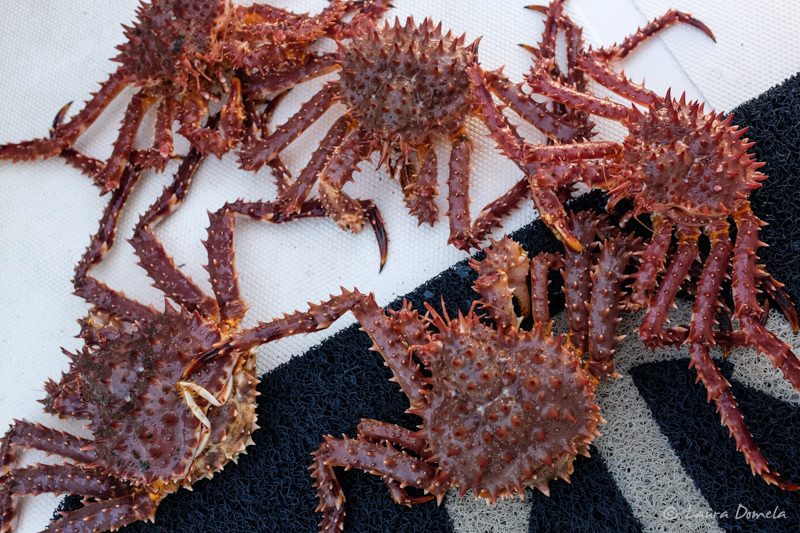 They were obviously too small, but it was super interesting not to have ANY Dungeness. Look at the roe this one's got with her! We put them all back nice and gently. 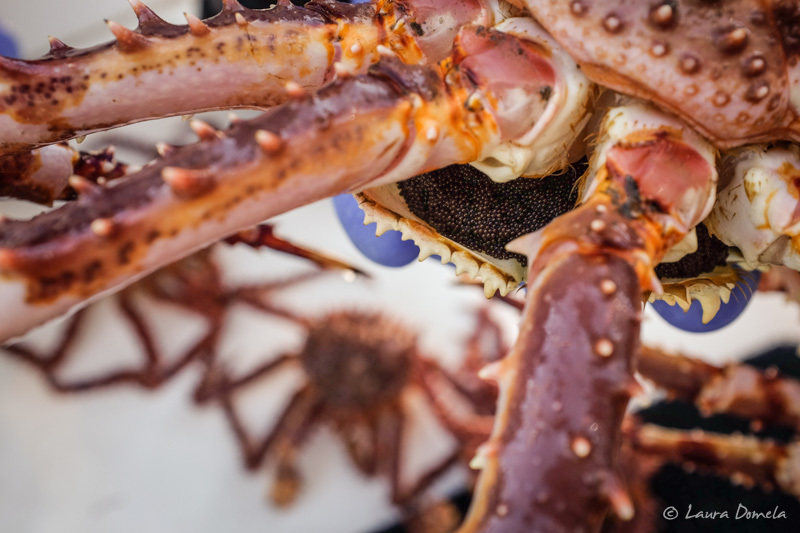 Who knew that Khutze Inlet was full of king crab? I guess we need a crab trap with bigger doors, so the large ones can get in! 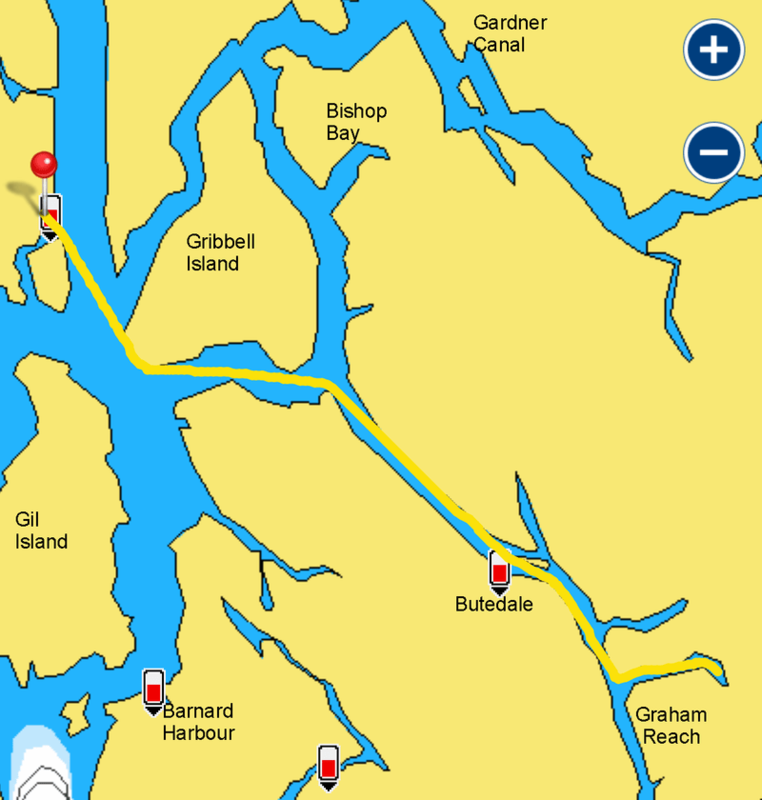 Hartley Bay is a First Nations community, and home to the Gitga'at, which means "People of the Cane." 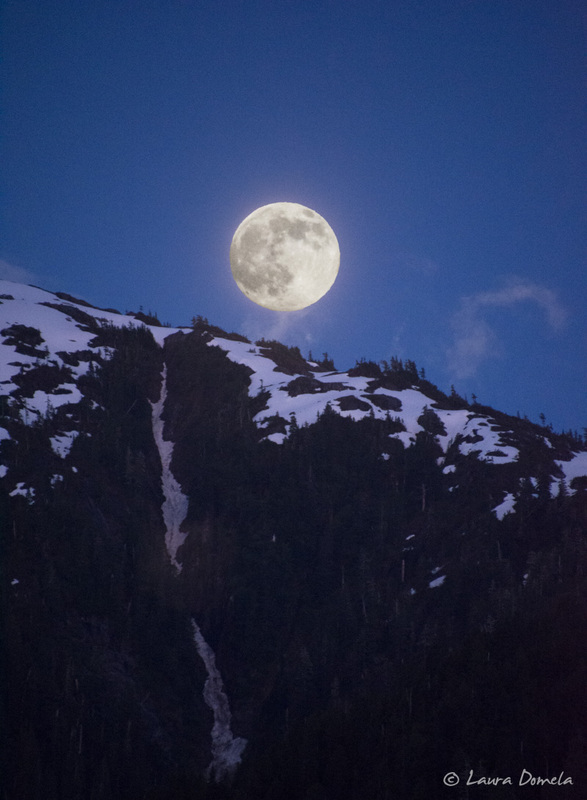 The Gitga'at are members of the Tsimshian nation. 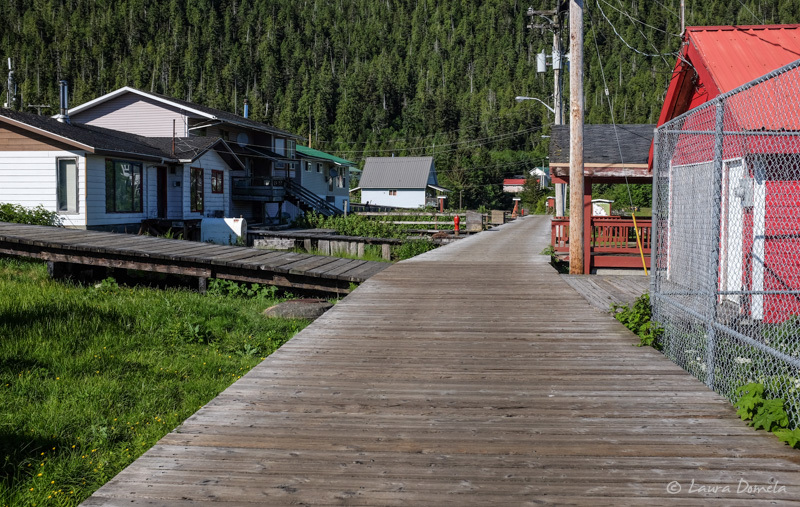 About 200 band members live here in Hartley Bay, a community with all wooden boardwalks instead of roads. I don't know if you remember the sinking of the BC Ferry vessel Queen of the North in 2006 (on March 22, with 101 persons aboard, she failed to make a planned course change, ran aground and sank…word was that the captain and co-captain were involved in some, um, compromising positions and perhaps they were neglecting to drive the boat), but we learned this additional bit of information about this accident the other day: The people from Hartley Bay, with their personal watercraft, were the ones who helped rescue the passengers of Queen of the North…they arrived before the Canadian Coast Guard and the whole town and community center was turned into a rescue center, helping keep the survivors warm and fed. The town received the Governor General's Commendation for Outstanding Service on May 3, 2006, for "initiative, selflessness and an extraordinary commitment to the well-being of others" in the rescue; the honor also cites the town's "tremendous spirit and the remarkable example it has set". Pretty cool! 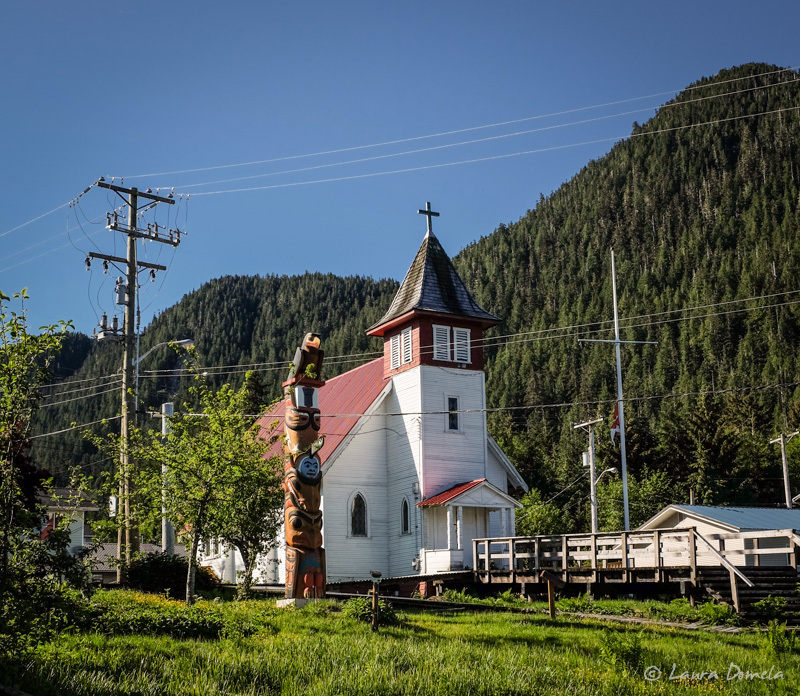 We got to Hartley Bay and were able to get a bit of cell service and internet, so we cranked out some work and a couple of blog posts before going to walk around town a bit. 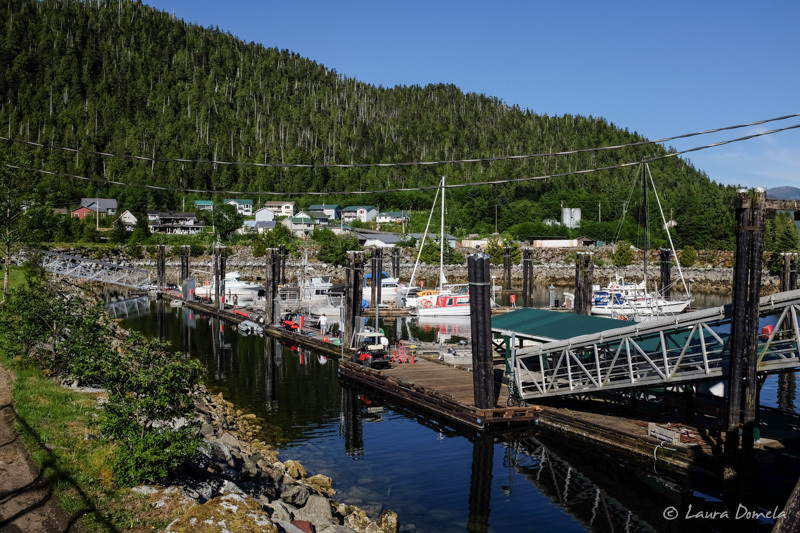 The docks are government-owned and free, but donations are welcome (the $ goes to the elders). It's a nice system. They've got fuel and water at the fuel dock, and we had no trouble finding some room. We had a nice night…visited a bit with the couple on the sailboat across from us, had some leftover crab bisque, and then got to bed fairly early. We'd definitely come back to Hartley Bay.